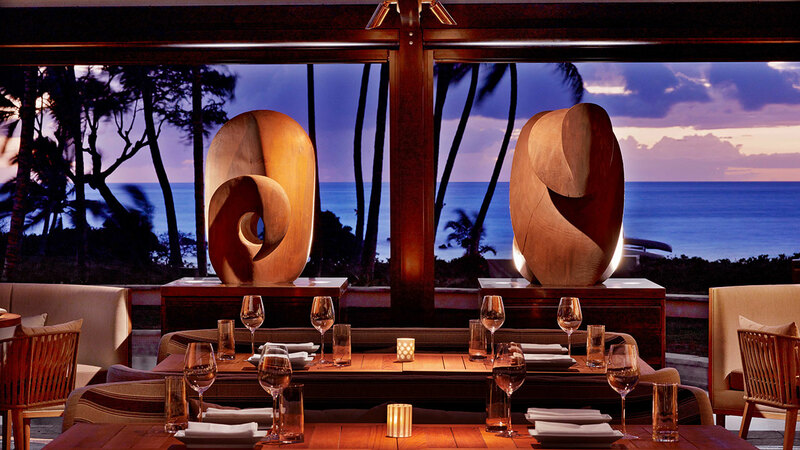 A modern Japanese beach house inspired the design concept for Morimoto Maui. 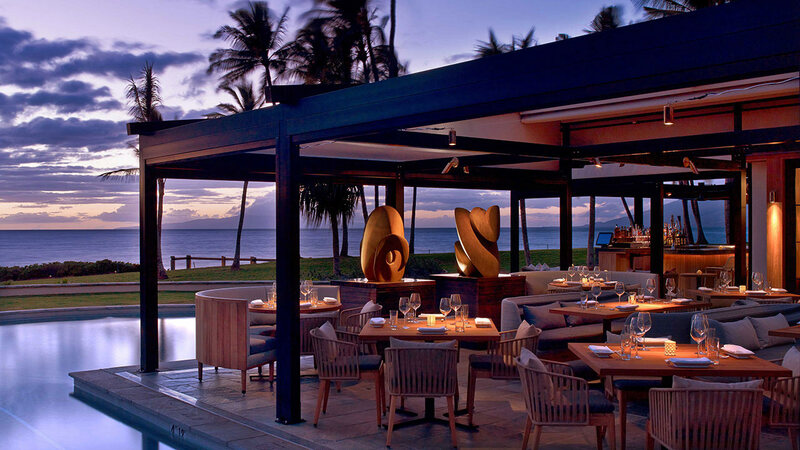 With uninterrupted 180-degree beach and ocean vistas are offered from nearly every seat in the restaurant and bar, further connecting guests to their environment through an intimate, relaxing experience. Neutral toned materials and shading elements and hand-crafted components have been incorporated into the design. A large cream-colored light box shade creates a glowing, warm ambiance in the adjacent sushi bar area. The woven finish lighting fixture recalls an oversized Japanese lantern. 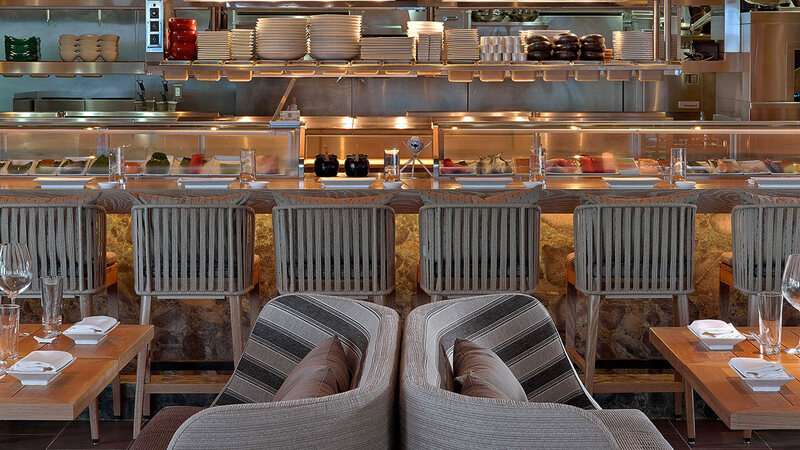 The sushi bar counter top is comprised of white oak wood, with iris green granite covering its façade. White oak bar stools outfit this space, while the brushed stainless steel ceiling above the sushi bar reinforces a sleek, minimalist aesthetic. Cleverly echoing the natural materials used in the sushi bar, the outdoor liquor bar features a white oak façade and counter top made of iris green granite. Bar stools with white metal frames and dark gray cushions are low, offering sleek yet comfortable lounge seating in this area. Terraces adjacent to the restaurant appear to float in the resort’s lagoon pool. A pergola offers protection from the natural elements where teak wood tables in the outdoor terrace mirror the interior restaurant design. Unique to this space is the custom corner seating, which features curved wooden exteriors and soft interiors upholstered in fabric. Four modern sculptural pieces made of wood and stone adorn this area, which borders the resort’s pool. Wing-shaped ceiling fans offer a welcome coolness in both the restaurant and outdoor terrace.